Rather I’m on the beach in Honolulu, or in a dimly lit room, I can’t escape this feeling; this burden that I’ve been carrying. I used to think that I was the master of my fate and the captain of my soul, but this….this has been weighing me down for sometime: The bag of unforgiving sand. If you told me that it is harder to forgive yourself than it is to graduate from college, I would tell you that you were a liar. If you said that it’s easier to forgive anyone else besides yourself, I’d think that you’re a fool. But isn’t it crazy how the foolish things are used to confound the wise? I had been carrying around this bag of sand for most of my life. But it didn’t start out being the size it has matured to over the years. At first, it started out as a small pouch, being filled with regret because of something I knocked over and broke. I spent more time focusing on the feeling of breaking something than I did on moving ahead. Later on, I found more sand to put into my pouch (which became a satchel), by filling it with regret for not being as great a musician as others wanted me to be. Later on, the bag grew exponentially after suffering a divorce, largely because of shame. Let’s stuff that in the bag, too. So, there you have it: This useless bag of unforgiving sand I’ve been lugging around. I would constantly check the bag’s weight, to be sure not to waste any of its contents anywhere. If I felt as thought it was too light, I would pick up some more sand. I could never feel too free, because if I dared to, I would quickly remember to pick up that which was so familiar: that bloody bag. I was so used to carrying this bag around, that I paid no attention to how heavy it had gotten. I would become frustrated with others because I had stored up so much unforgiving propensity towards myself. I even forgot how to cry. In other words: I was acting out because I had never forgiven myself. 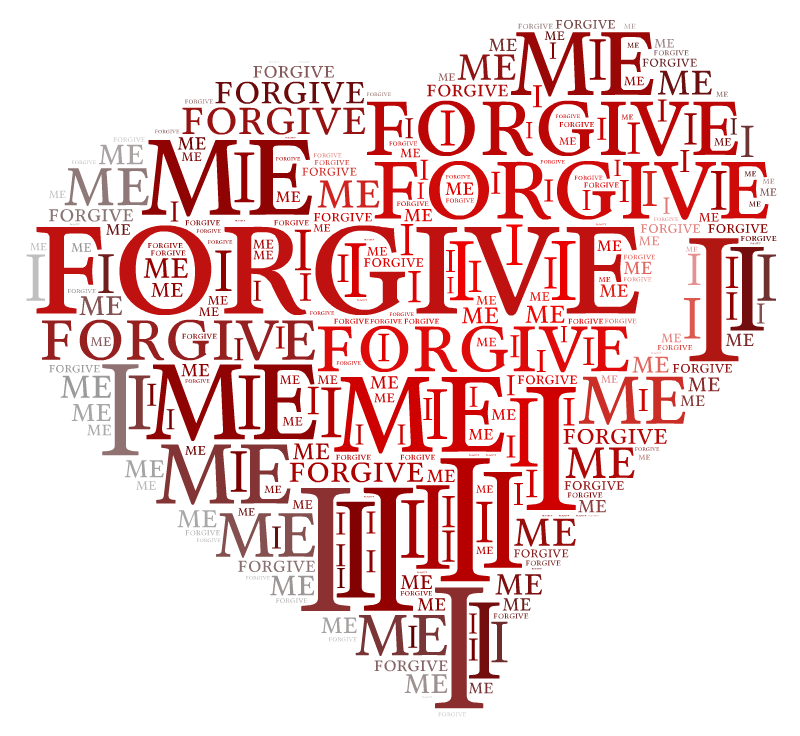 I have slowly realized, within this Journey of me, the great need to forgive myself. Although it’s easier said than done, it starts with one tiny step-remember how the bag grew over time? I thought you might. As a musician, I strive for perfection, but I’m learning how to love my mistakes. Within the mistakes lie great lessons.